When most people think of bulbs they often think of daffodils or other similar flowers. However, the bulbous variey of flowers goes well beyond that. While tulips, hyacinths and snowdrops also belong with the ‘true’ bulb family, there are many flowers that have corms, rhizomes or tubers. These include agapanthus and hippeastrums, dahlias, cannas and other lilies, irises, begonias, anemones and amaryllis, to name just a few. Not only do bulbs do the work of reproducing the plant, they store food for those months when the leaves die and the plant is dormant. Thus, when the conditions are right the new plant has all it needs to thrust new shoots up into the sunlight. Most bulbs need moist, rich, free draining soil and a sunny position to grow happily. Many flower in the spring, but such is their diversity, it is possible to have bulbs flowering in every month of the year. To grow bulbs such as tulips in a temperate region, keep them in the refrigerator for four to eight weeks before planting out at the coldest time of year. In cold ares, plant in late autumn. Tulips like warm, dry summers alkaline soil. They may be affected by aphids, or a fungal condition called ‘tulip fire’ if there is too much moisture about. Their vibrant colors make them well worth a place in the garden. Bulbs will usually do well if their natural habitat is approximated in the garden. For instance, daffodils are meadow flowers, so like plenty of sun. They will naturalize successfully in the lawn and flower early before the grass becomes too competitive. It’s best not to mow for at least six weeks after the flowers die, because the leaves provide food to the bulb for next years’ growth. Woodland bulbs like bluebells and snowdrops will do better in a semi-shaded or a dappled sun position. They do well under deciduous trees. Spring-flowering bulbs may be planted near a well-used path or where they can be seen from a window to save trekking over soggy lawns to admire them. Most bulbs can be grown successfully in containers, but need at least four inches ((10 cm)) of soil below them and 2-4 inches (5-10 cm) above. It’s a good idea to plant bulbs in a pot and bury it in the garden to prevent them from being accidentally hoed during a weeding session. If you have trouble with rodents eating your bulbs, plant them inside a wire cage buried in the garden. Many bulbous varieties grow easily and are quite tolerant. Do your research, however. Some of the more unusual ones can be found via mail order or on the internet, so take the time to look for them. You’ll be pleased with the result. 1. One can easily make compost from garden and kitchen waste matter. Though this is a bit more time-consuming than buying prepared chemical pesticides and fertilizers, it certainly helps to put garbage to good use and so saves the environment. On the average, a child consumes four to five times more cancer-causing pesticides from foods than an adult. This can lead to various diseases later on in the child’s life. With organic gardening, these incidents are lessened. 4. Organic farming practices help prevent the loss of topsoil through erosion. 5. Cost savings. One does not need to buy costly chemical fertilizers and pesticides with organic gardening. Many organic recipes for the control of pest and disease come straight from the kitchen cupboard. Sometimes other plants can be grown as companions to the main crop. An example of this is the marigold, which helps to repel aphids from vegetables. 6. A simple mulch of pine needles will help to suppress the growth of weeds as well as keeping the moisture in. Organic gardening practices help to keep the environment safe for future generations. Hydrangeas have become one of my favorite perennials for many reasons. The large white blooms of the Annabelle remind me of my Grandmother’s large flower garden which was always bursting with color and heavenly scents. I loved to pick a bouquet to decorate the dinner table. The range of blue, violet, and pink hues that are available in newer hybrid varieties are breathtakingly beautiful. If you don’t like the color, add a little aluminum sulfate to the soil for a deeper blue, or add dolomitic lime for a pink flower. Hydrangeas are hardy and fairly easy to grow given the right conditions. There are new varieties available each year. 2011 varieties include Hydrangea Macrophylla Konigstein which is a deep red; Hydrangea Macrophylla Lemmonhoff, a pink to blue variety depending on acidic level of the soil; Hydrangea Paniculata Phantom, which will produce beautiful creamy white blossoms all through the summer and into fall; and Schizophragma Brookside Little Leaf which is a climbing variety that will bloom all summer long as well. There are literally hundreds of different types of Hydrangeas so it’s not hard to find a type that works well for any growing conditions. 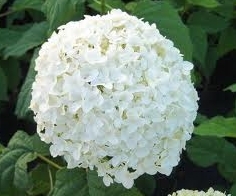 For a complete guide to growing Hydrangeas, check out the Encylopedia of Hydrangeas. There’s been a great deal of coverage in the media about disappearing honey bees in the past year or so. Experts speculate about what may be causing the mysterious disappearing act – cell phones, viruses, weather (climate change/global warming). It may be years before we know the answers, if we ever do. As an avid gardener, it’s concerning to think that the bee population is on the decline since our food supply is so dependent on these little buzzing pollinators. I live in a suburban area with not enough property to become a bee keeper and I have enough respect for the honey bees and all types of bees that I would want to learn as much about bee keeping as possible before attempting to raise bees for honey. Author AdministratorPosted on June 20, 2011 June 22, 2011 Categories organic gardening, Organic Insecticides, Vegetable GardeningTags beekeeping, honey bees, Minnesota gardening, organic gardening, raised bed gardening1 Comment on Ever Thought About Becoming a Bee Keeper? The design philosophy might be determined by the broad strokes, but the total effect can be found with the accents. When designing any project, from a home to an entire building, ensure that you spend a lot of time thinking of the details. Let’s discuss regarding the garden, for instance. A garden has trees, flowers, shrubs as well as vines to play around with. While the larger bits of the puzzle, such as the trees, flower beds and shrubs, could be the most notable portions of the garden, it is the nicely placed vines that tie in the entire concept. Try using a Wisteria vine to create a touch of color in the many green dominated areas just like the porch or the fence. These basic touches can really tie up your designs and fill in those big bland gaps. If you have lovely trees and flower beds, they can truly make your garden shine. However, if you have a lot of green in between, then that can really mess up the whole harmony of the area. Check out a honeysuckle vine and see if it fits your design concept as well as these vibrant bells truly pop in a backdrop of green. Create your own living gazebo by installing chicken wire domes that these vines may creep on and cover, creating a romantic nook that you could share with your loved one or rest with a book under. There are lots of ways that vines could enhance your design as long as you utilize them well. Just keep in mind that it is all in the details and how you fill in those small gaps. Designing your very own garden is an artistic expression in itself. Much like painting an image or making music, you utilize many parts and combine them inharmonious ways to make a thing of beauty. However a song could simply not be made of choruses by itself much like a painting can’t be dominated just by the subject. You will generally require a backdrop to make your canvass or sheet with and the few subtle aspects that bind everything and keeps the sensibility of the entire style. Go to http://www.brighterblooms.com/ and find a variety of products that you can use to fill your garden and design it in a way that you like. Make sure you plan it well so you put together a great area that is all your own to take private twilight walks in or simply while away a lazy afternoon with your partner with. Anything is definitely possible. A high manicured yard together with a flower bouquet and bushes are one way to spruce up your yard but so are lawn decorations. And a very popular one these days are decorative windmills. Whether you want to get a specific style to your yard, change things up a bit or just enhance what you already have, these ornamental windmills are the perfect tool to so just that. Sizes usually range from 4 feet to 30 feet and prices can vary from 100 dollars to the thousands. It all depends on what look you are going for in your yard. Decorative windmills do not pump water. They are meant only for viewing. They are perfect if you are trying to create a certain focal point in your lawn and the spinning fan blades can sometimes scare away animals from your vegetable garden. Determining what size is properly for your lawn or garden is the first step. The second is determining where to locate it. It is critical to take into account the place the most wind is created in your lawn or garden. Folks do enjoy viewing the a blowing wind blowing and turning the decorative aluminum windmill fan blades. Proper placement will not only bring lots of compliments, but it can also serve as a great conversation piece. There are many different types of garden windmills but you may want to consider purchasing an aluminum wind mill with stainless steel nuts and bolts. They will not rust and never need painting. You also want to make sure that when you assemble your windmill that it is properly anchored. So if you are looking to spruce up your lawn and yard with a decorative vintage dutch windmill may be correct for you. Simply be sure to do a little research regarding the diverse sorts and measurements and scope out the perfect find in the yard. Yet another factor to memorize with the holiday year appropriate approximately the nook…ornamental windmills generate superb and unique presents! Orchids which are given good care before and after blooming will continue on the path of their growth cycle and bloom again. Many people fear that their orchids won’t re-bloom, but this fear is unfounded if you follow some basics of orchid care. You should start out by buying a mature plant that is either in the process of blooming or has already bloomed once. That way you guarantee a basic degree of success and should not have an orchid which never blooms. It is your efforts at orchid care which will be rewarded with its next period of flower production. So, let’s look at some of the basic care for orchids before blooming. Orchids need a goodly amount of water but not too much water. How much is enough depends on the kind of orchid you have. For example, some orchids should get very dry before watering while others should not. If you have a moth orchid, which is one of the easiest to grow, the soil should not get overly dry nor should it ever be soggy. The situation is much the same with orchid care and humidity. Depending on the species of orchid you have, necessary humidity levels can vary from forty to seventy percent. Most orchids tend to be on the higher end of this spectrum as they grow wild in the tropics. You need to find out what humidity level is needed for your specific type and then meet it. If you live in a cold area but have an orchid that needs warm air and a lot of humidity, you could try growing orchids in a glass home, such as a terrarium . A terrarium, greenhouse, or other type of shelter can also help you maintain the correct temperature levels for your orchids. Again, the species of orchid will determine its favorite temperatures but a general range is sixty-five to eighty degrees. Cooler temperatures by ten or fifteen degrees overnight will aid the plant in flowering abundantly. Another blooming requirement is bright light, but that doesn’t mean hours of direct summer sun. Too much direct sunlight can cause sunburn and scalding for orchids . Inside, you can experiment with windows, especially those facing south or you can use the terrarium or enclosure approach where you can place florescent lighting. If you get the light just right, your orchid’s foliage will be yellowish and not dark green. Dark green means too little light and under these conditions, the orchid may not bloom. Blooms are also dependant on a plant well-fed with plenty of fertilizer. You need to fertilize orchids every couple weeks. In most cases, use a very diluted mixture. The decision is yours whether it be organic or synthetic, such as 10-10-10, 30-10-10, or 10-10-30, but don’t let the fertilizer burn the plant. Plants are inactive for several weeks after blooming. Continue to care for orchids normally during this time. Depending on the type of orchid, you may need to cut off the flower stem and surrounding sheath. Other orchids do not need the stem trimmed at all. Be sure to know which orchid you have and its post-bloom process. If your orchid has been in the same pot for two years or more, it is time to repot during the period in-between blooming. It may be too large for its pot or the medium in which it is planted may have overly decomposed. Be gentle and repot the orchid in osmunda fiber, fir bark, gravel, peat moss, or another material good for growing orchids. This should give it a good start on its next period of growth and new blooms.